The VF90 In-Line Four V MAX SHO. A single-overhead-camshaft design with four valves per cylinder and 1.8-liter displacement make the I-4 V MAX SHO 90 a class leader in torque, top speed and efficiency. But it’s not only the fastest—it’s the quietest, too. * That makes for some pretty stealthy fishing. Available for mechanical remote or tiller control. 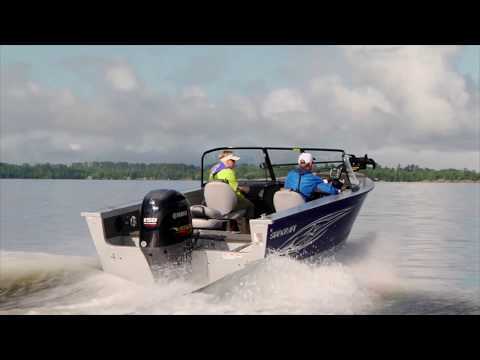 *Testing conducted by Yamaha at Yamaha’s US Test Facility on a G3 Eagle Talon™ under the same conditions and with each rigged for maximum performance. 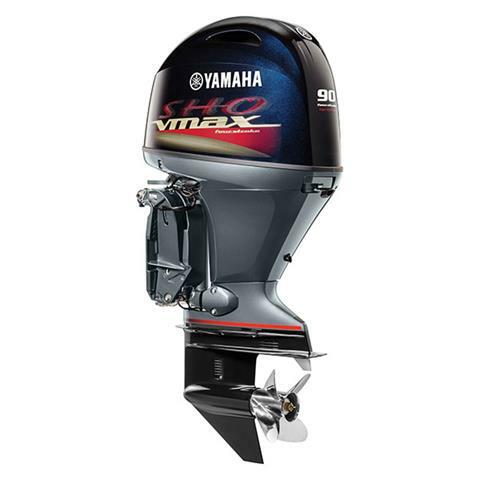 EASY RIGGING: I-4 V MAX SHO® outboards feature mechanical controls for easy, convenient rigging with most bass, bay and flats boats, and are compatible with analog, 6Y5 digital or Command Link® gauges. EXTRA SPACE: A four stroke in-line design means there's no need for an external oil tank. That means less weight and more storage room in the boat for tackle and gear. AMPLE CHARGING POWER: At 50 amps, the V MAX SHO® 175 and 150 alternators boast an 11 percent increase in charging power over the two stroke 150 HPDI®. QUIET POWER AND PERFORMANCE: The I-4 V MAX SHO® design maximizes combustion efficiency in a way that no two stroke can, delivering clean, quiet power and performance. MIDRANGE POWER AND RESPONSE: The V MAX SHO® 175 and 150 feature Variable Camshaft Timing, which optimizes the angle of the intake camshaft to increase power and throttle response in the low- and mid-RPM ranges. FUEL EFFICIENT: In-line Four V MAX SHO® designs are up to 40% more fuel efficient than traditional carbureted two strokes. 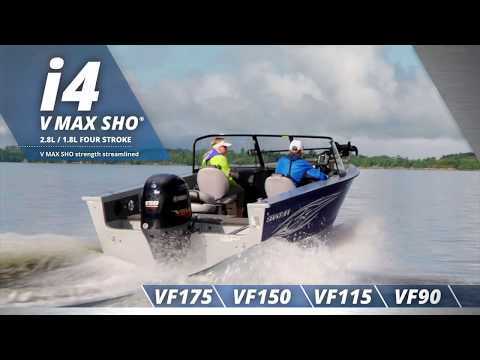 OPTIMUM POWER: Precision Multi-Point Electronic Fuel Injection and long-track intake system combine to maximize power and fuel efficiency across the line of In-Line Four V MAX SHO® outboards. POWER MANAGEMENT: An array of advanced sensors constantly provide vital atmospheric and engine conditions to the Engine Control Module (ECM), which instantly makes the precise adjustments for optimum performance. 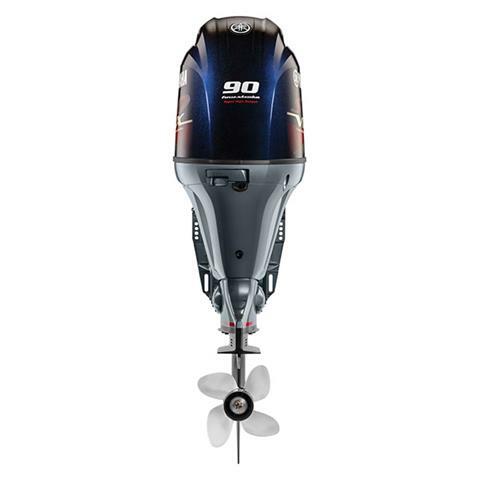 ENGINE WARNING SYSTEM: This system protects the outboard with a range of functions including: overheat protection and low-oil-pressure warning (automatically reducing maximum RPM to 2000), over-rev protection, water-in-fuel detection, start-in-gear protection and shift-in prevention at open throttle. BETTER LUBRICATION: Wet sump pump lubrication that uses a pressurized oil delivery system through an oil pump. CORROSION PROTECTION: Combined with our proprietary alloy (YDC-30), our exclusive Phaze Five™ electro-deposited, anti-corrosive paint system provides a tough, five-layer barrier against corrosion. 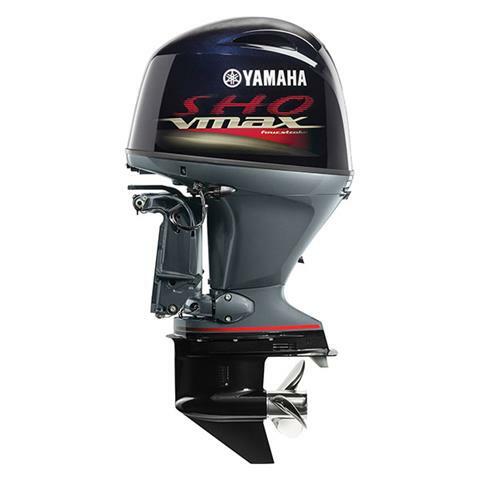 This protection is standard on all Yamaha I-4 V MAX SHO® four-stroke engines. UNBEATABLE RELIABILITY: The I-4 V MAX SHO® 175 and 150 feature a Cowling Drain System and Air Intake Labyrinth System to trap and drain water that enters their cowlings during normal operation. 5270 Paw Paw Lake Rd.